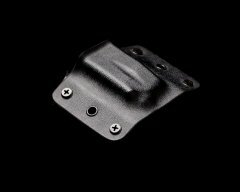 Use our single pistol mag carriers to keep an extra mag handy for your concealed carry gun or pair it up with our PMag carriers and your side arm for the ultimate combo. The hoslters are molded using actual magazines for your specified firearm creating a perfect fit. If we do not have your specific model listed, please contact us and we will do our best to add your model to the list, usually within 1-2 days depending on mag availability.